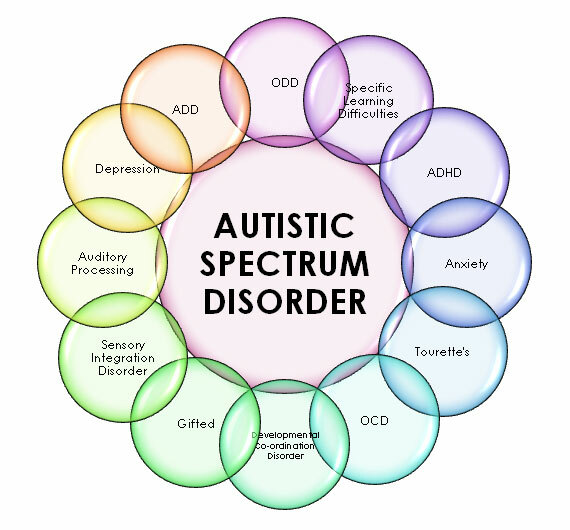 Autism spectrum disorder (ASD) is a pervasive developmental disorder characterized by deficits in social interaction, language, stereotyped behaviors, and restricted range of interests. In previous studies low frequency repetitive transcranial magnetic stimulation (rTMS) has been used, with positive behavioral and electrophysiological results, for the experimental treatment in ASD. In this study we combined prefrontal rTMS sessions with electroencephalographic (EEG) neurofeedback (NFB) to prolong and reinforce TMS-induced EEG changes. The pilot trial recruited 42 children with ASD (~14.5 years). Outcome measures included behavioral evaluations and reaction time test with event-related potential (ERP) recording. For the main goal of this exploratory study we used rTMS-neurofeedback combination (TMS-NFB, N = 20) and waitlist (WTL, N = 22) groups to examine effects of 18 sessions of integrated rTMS-NFB treatment or wait period) on behavioral responses, stimulus and response-locked ERPs, and other functional and clinical outcomes. The underlying hypothesis was that combined TMS-NFB will improve executive functions in autistic patients as compared to the WTL group. Behavioral and ERP outcomes were collected in pre- and post-treatment tests in both groups. Results of the study supported our hypothesis by demonstration of positive effects of combined TMS-NFB neurotherapy in active treatment group as compared to control WTL group, as the TMS-NFB group showed significant improvements in behavioral and functional outcomes as compared to the WTL group.